We are in countdown mode to Christmas! 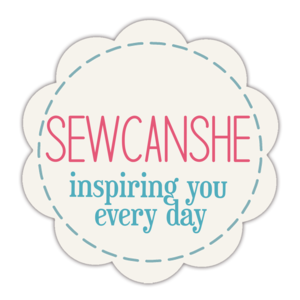 This seems like the perfect time to share my list of gift ideas to make and give from your sewing room! My sewing room has been off limits as my granddaughter, Amelia, has been sleeping and napping there for the past week. (Trust me, I’m not complaining.) 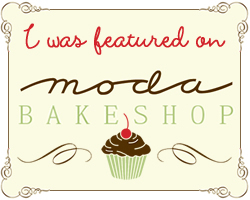 So instead of a new project to share, I thought I would give you some gift ideas to start mulling over. Many most of these are my own tutorials from years past. 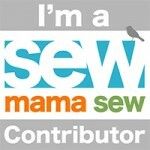 I’ve included a few from other bloggers, too. Of course there are links to everything – just click on the photo. 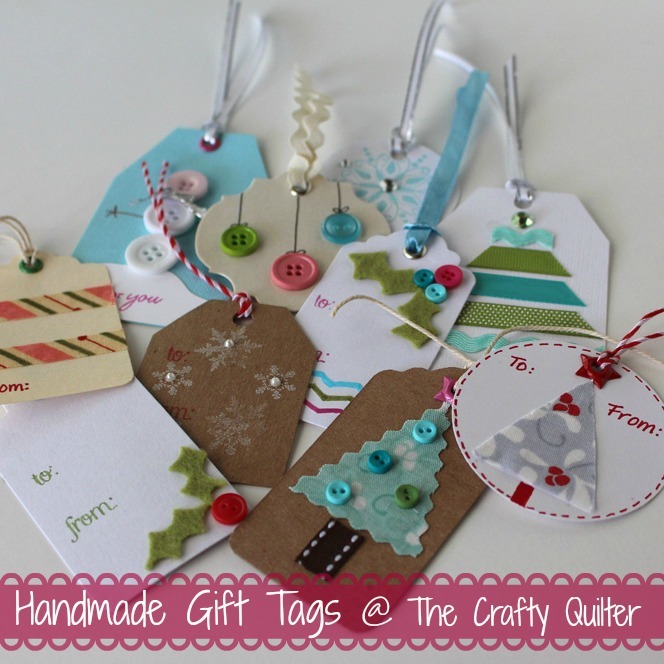 We’ll start off small with some cute, handmade gift tags. These are so quick and easy to make. 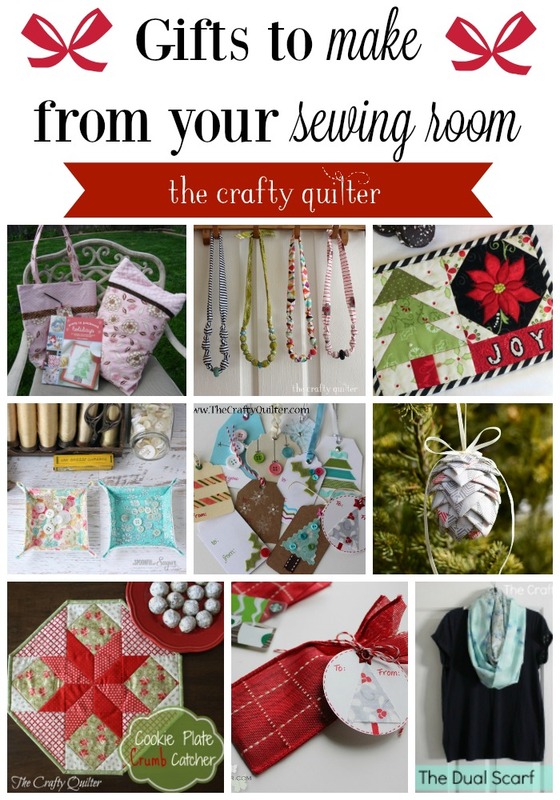 A little glue, ribbon, buttons and scraps of fabric will get you started. This is a good project to include the kids with! 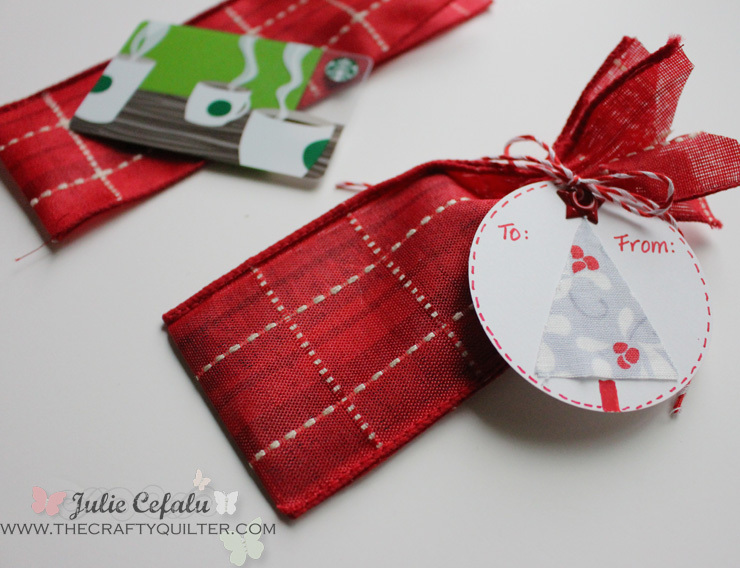 You’ll also find an easy way to make a gift card holder with wide ribbon. One of my absolute favorite gifts to make are mug rugs! 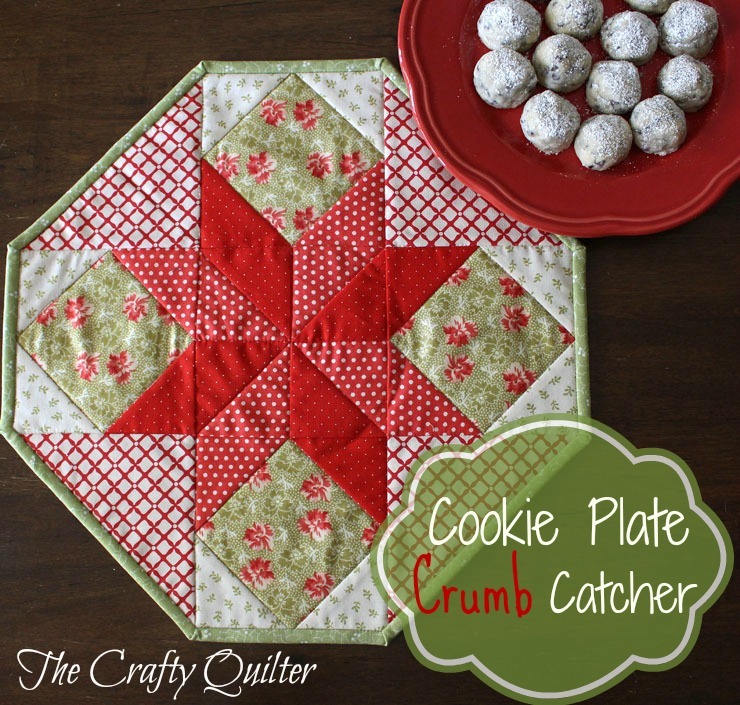 One of my first tutorials was this Holiday Mug Rug which includes very simple piecing. 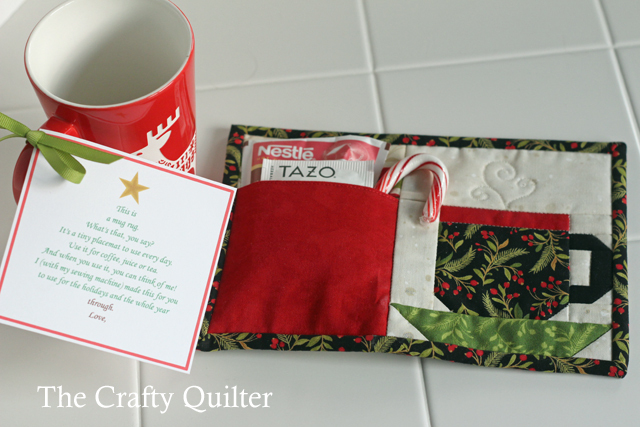 You can also check out my Christmas Pocket Mug Rug on Craftsy; it’s been super popular! 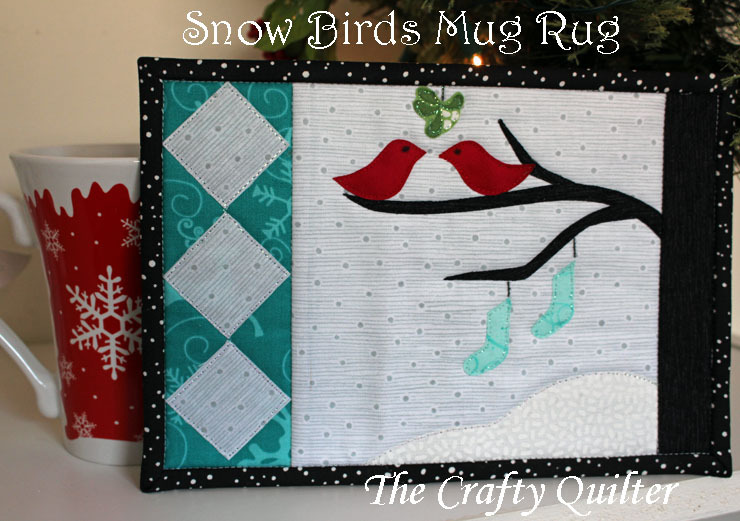 This Snow Birds Mug Rug features a couple of lovebirds under the mistletoe. Applique is used to make the squares on point as well as the snowy scene. 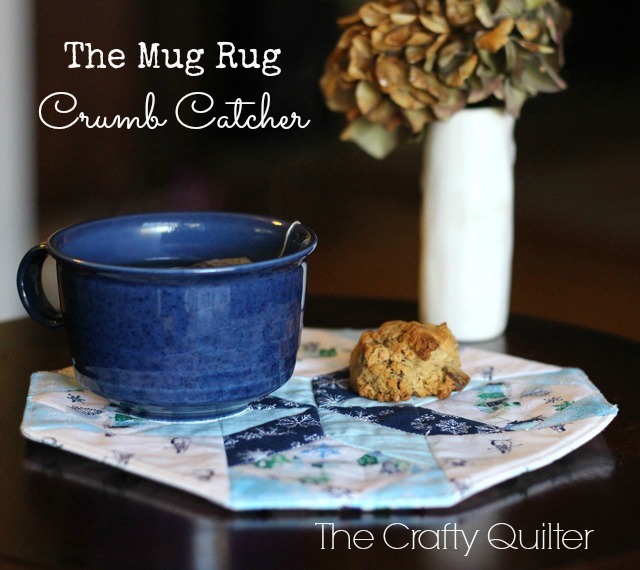 The Mug Rug Crumb Catcher is a miniature version of my popular Cookie Plate Crumb Catcher. You’ll definitely want to make them both. These would make great hostess gifts, too. Just add some homemade cookies and you’re good to go! Don’t forget a Mug Rug Poem so your recipient knows what they’re getting. 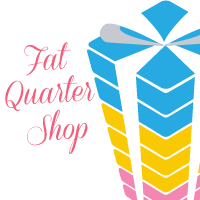 Package everything up with a favorite tea bag, chocolate, gift card and a cute mug! I made these Dual Infinity Scarves for my three daughters and myself, and they were a hit. 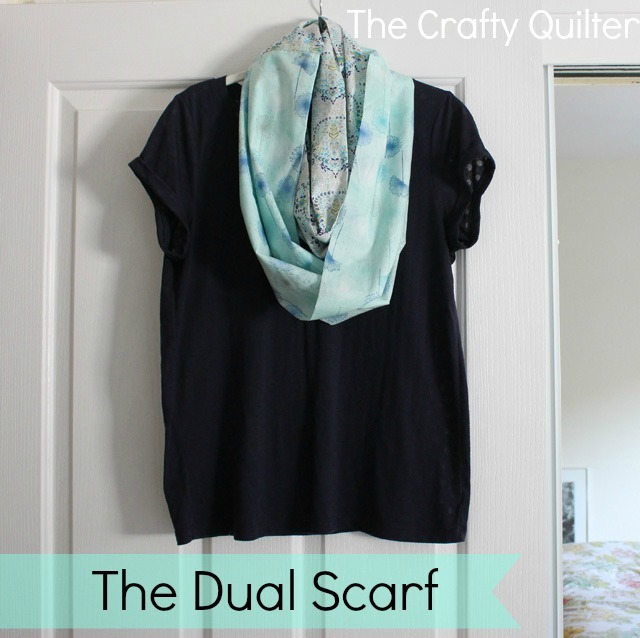 They’re easy to make and two yards of coordinating fabric (such as cotton voile) will give you two scarves. 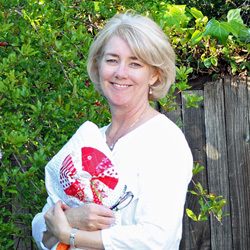 These Travel-sized Pillow Cases will work for anyone on your Christmas list. It’s great for the kiddos and also for the outdoor adventurist, overnight trips and traveling in the car. 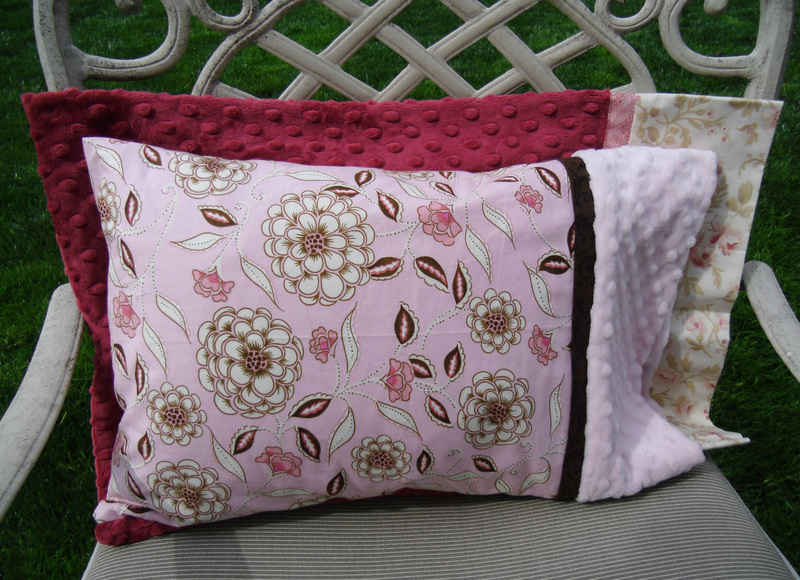 I love using leftover minky scraps for these. 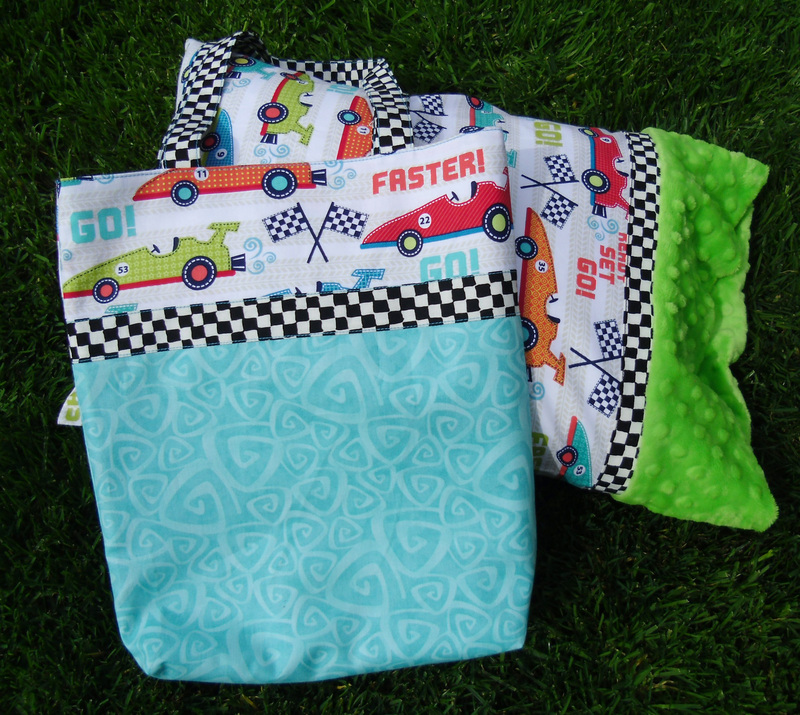 Instructions are for two common sizes, and there is a tutorial for a book bag, too! 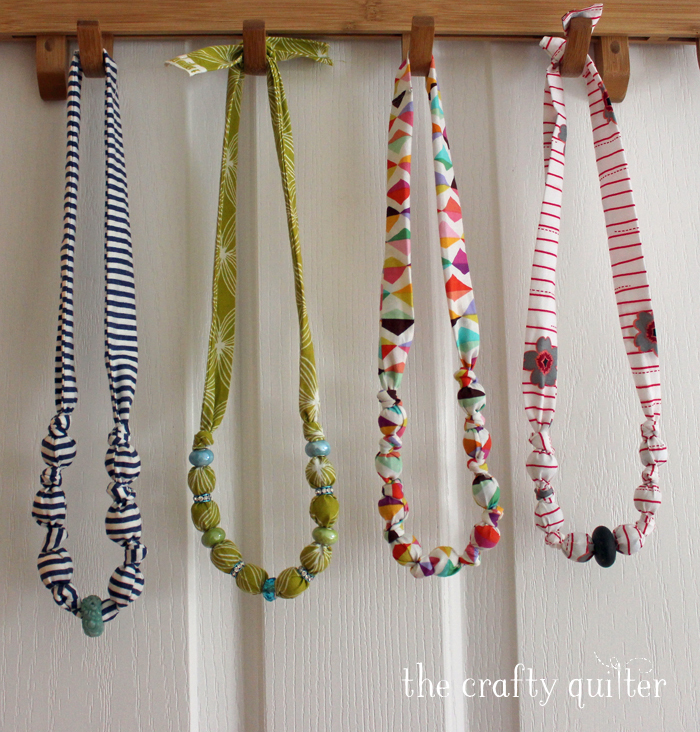 If you need to make a bunch of one thing, these Fabric-covered Bead Necklaces are perfect for women of all ages. 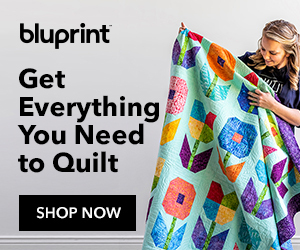 They’re also a great way to use up 2 1/2″ wide fabric strips. 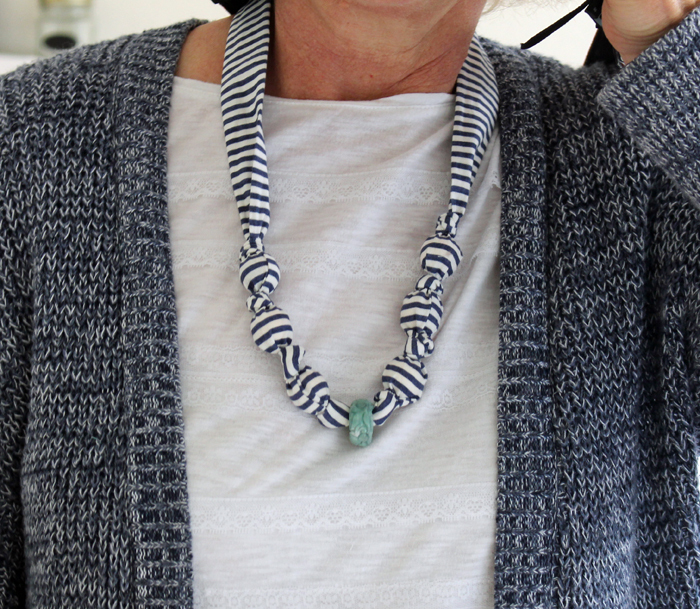 You just need some marbles or wooden beads to fill them with and you can add a pretty bead or two for some bling. 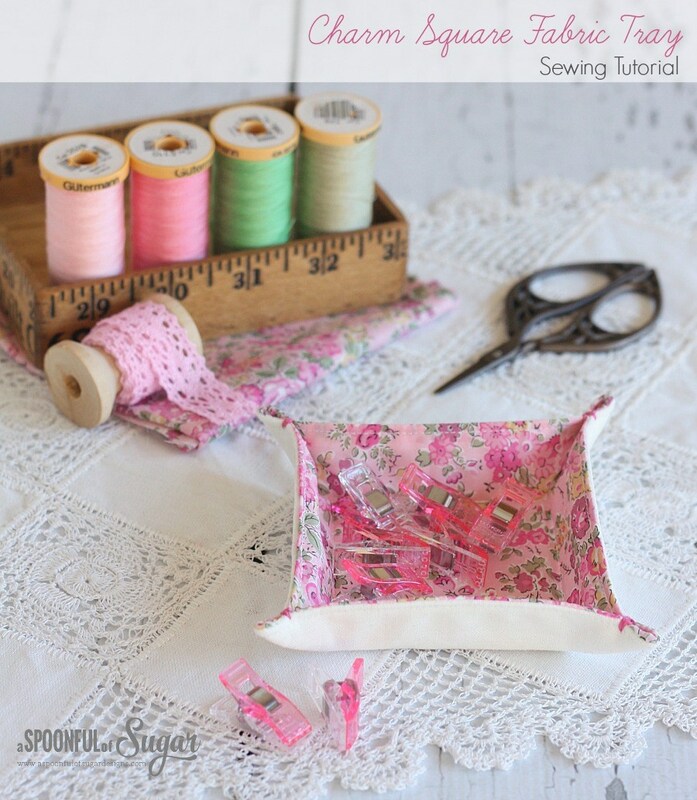 I loved making these Charm Square Fabric Trays from A Spoonful of Sugar. I use them in my sewing room and when I travel to keep my jewelry gathered in one spot. Another quick and easy gift to make and give for the holidays! 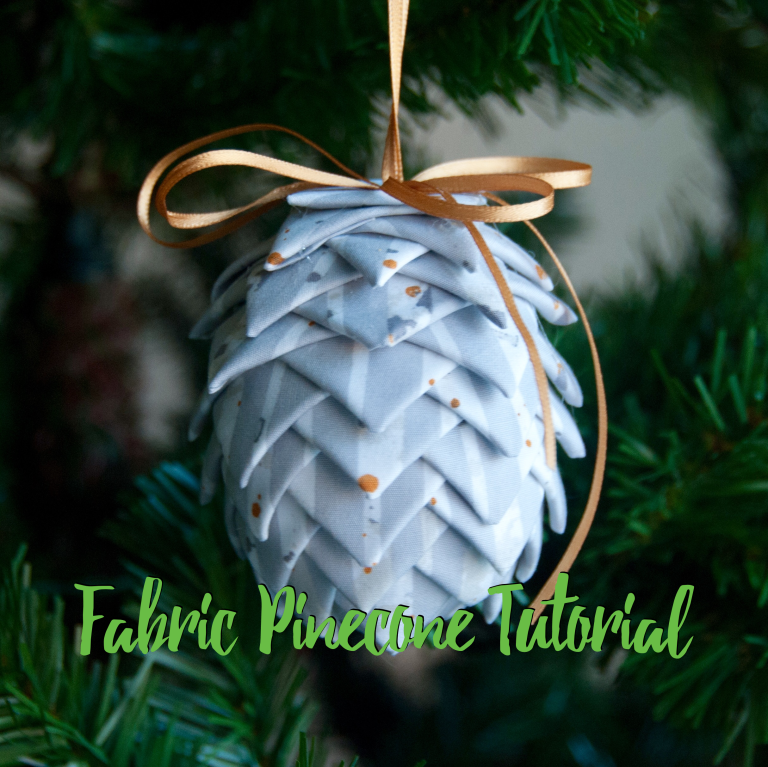 These Fabric Pinecone Ornaments from Mister Domestic would make a nice gift to give or keep for yourself. I think they would also be great added to packaging for an extra special touch. I hope that you’ve found something to add to your Christmas making list. Gifts from the sewing room are the best! Thanks so much for this post. I have been slow to think of things to do this year, you have motivated and inspired me. Thanks so much, Julie! You always have wonderful ideas and tutorials! I have made so many great gifts from them. Hope you have a great Christmas and the best New Year ever! Thank you for all your hard work! Love your ideas.. just wanted you to know you are appreciated. Have a great Christmas holiday! Thank you so much for all the lovely ideas. Off to make a tray for my daughter in law as a cheer up present, she hasn’t been well. Just right for posting with some chocolate I think. You have highlighted some great ideas here. Thanks, and I know you will enjoy your granddaughter’s visit! You’re Terrific Julie ! They are all Lovely and Practical gifts! Thank you !